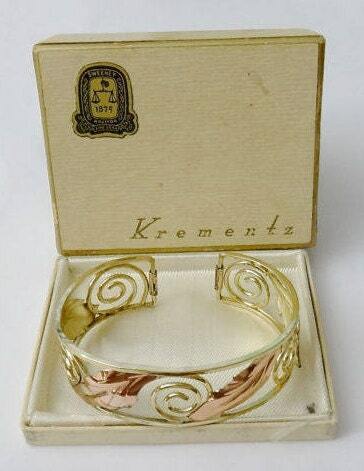 Lovely Vintage Openwork Cuff Bracelet - Yellow & Rose Gold Plated in original Krementz Box. 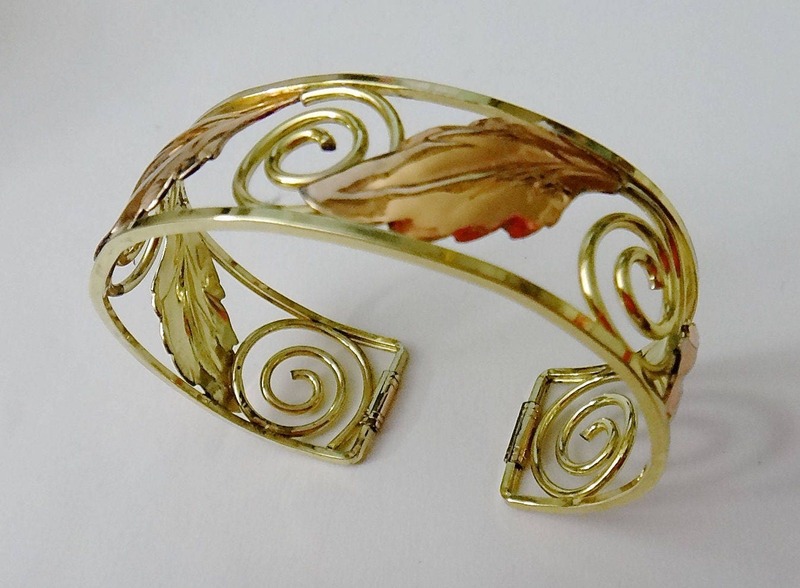 Beautiful openwork cuff bracelet with leaves and swirls. Yellow gold plated with rose gold plated leaves. 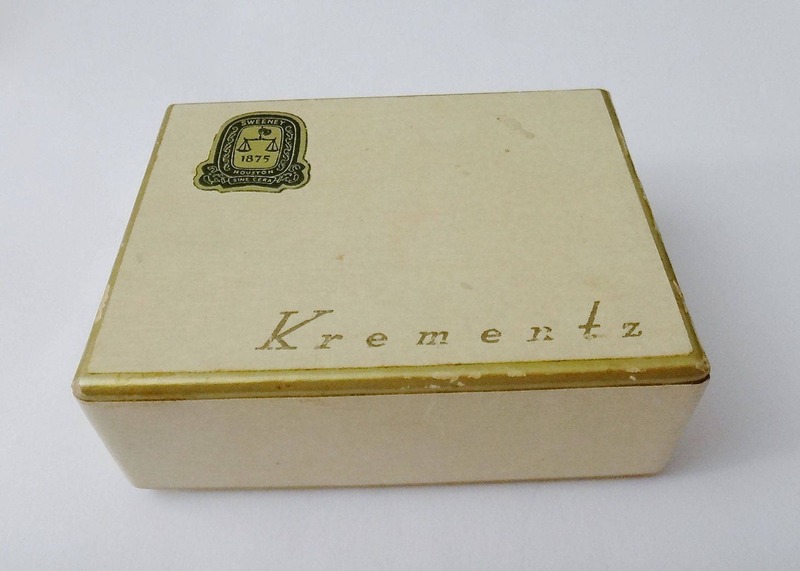 The box is an original Krementz and retains a Sweeney - Houston, Texas label. The bracelet is 3/4 inches wide, the interior of the bracelet measures 2-3/8 inches from side to side. The opening at the back of the bracelet is 3/4". There is a slight amount of flexibility to the bracelet for ease of taking it off and on but fits small to medium woman's wrist. 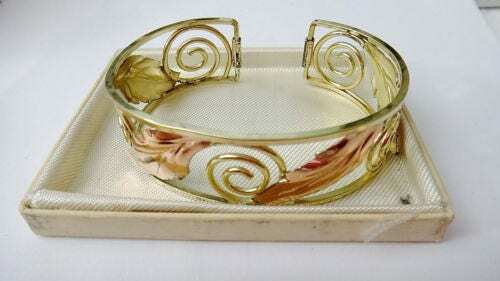 The condition of the bracelet is very good to excellent vintage. NO wear or damage. 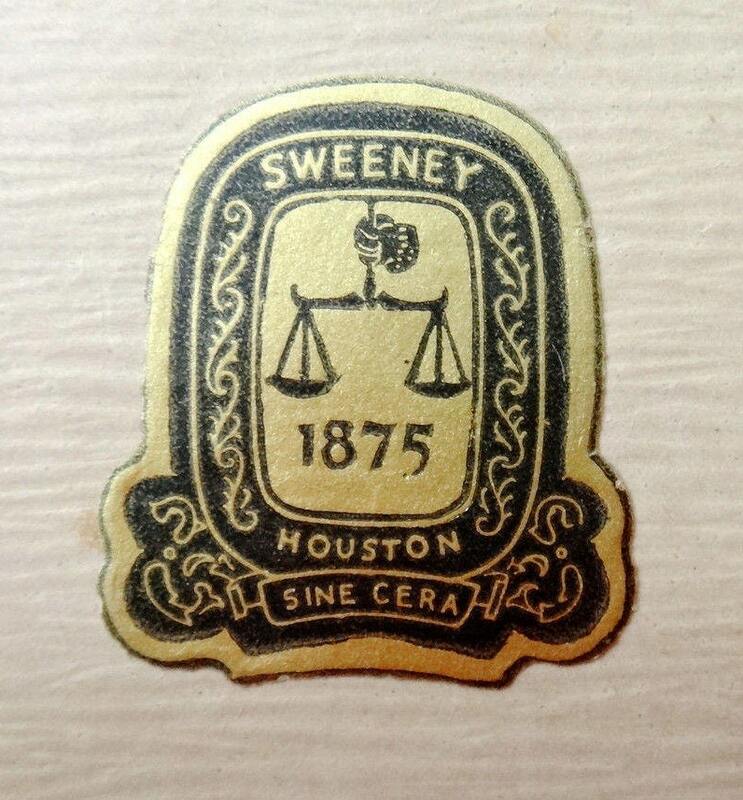 The box shows discoloration, light wearing and some soiling. A really lovely bracelet! FREE shipping in the U.S.